NSW Transport Minister Gladys Berejiklian has endorsed the wage offer accepted by STA’s 4000 bus drivers which will see pay rises of up to 3.25 per cent annually over three years. STA drivers received a 2.5 per cent pay rise on June 12 this year and will receive an additional pay rise of up to 0.75 per cent from April 15 next year, up to 3.25 per cent more from January 2013 and up to 3.25 per cent more from January 2014. 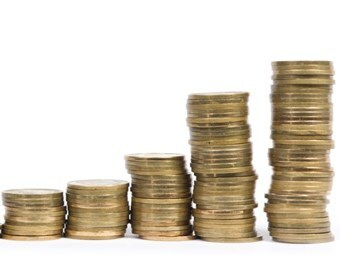 The pay rises will be delivered after agreed improvements to work practices had been met. Berejiklian says the cost-saving changes to work practices include changing holiday rosters to reduce training and recruitment costs. New drivers will also be required to pass competency standards before they are employed, rather than being paid for up to 14 days training irrespective of whether they pass the training. The on-road driver training program will change to allow monitoring of driver skills while drivers are carrying passengers instead of taking drivers out of service. Trainee drivers will be paid at a single rate over their two-year traineeship, rather than two rates over the two years. Berejiklian says the new deal rewards bus drivers for negotiating improved work practices and contributes to improved customer service. "Bus drivers provide a vital service for the travelling public and this new wage agreement rewards them for their efforts and gives them certainty over the next few years," she says. "This agreement also demonstrates that wage rise claims over 2.5 per cent are possible if offset by demonstrated savings in the workplace, as outlined in the NSW Government's wages policy."